How Does a Token Gain Value? Why are Security Tokens Important? Do Security Tokens have a Weakness? Go on YouTube right now and search for Security Tokens. Why are Security Tokens the future? Are Security Tokens the next big thing? So, it seems like there is a lot of hype behind security tokens nowadays. 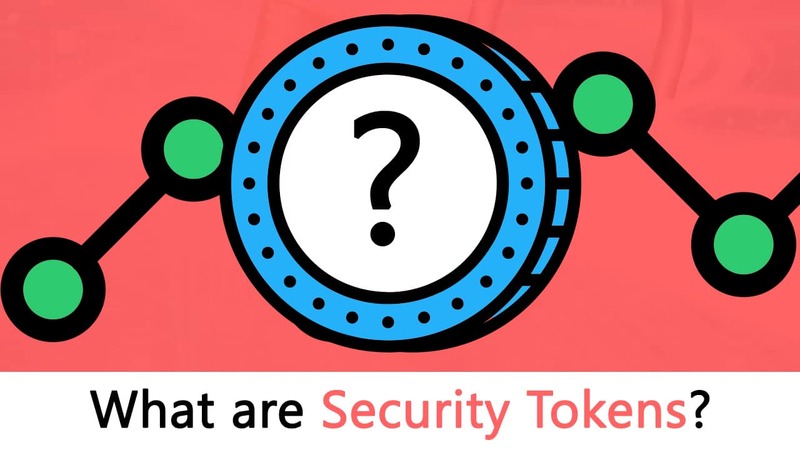 In this guide, we are going to learn everything about security tokens and see if they are worth your time or not. However, as always, let’s start with the basics first. 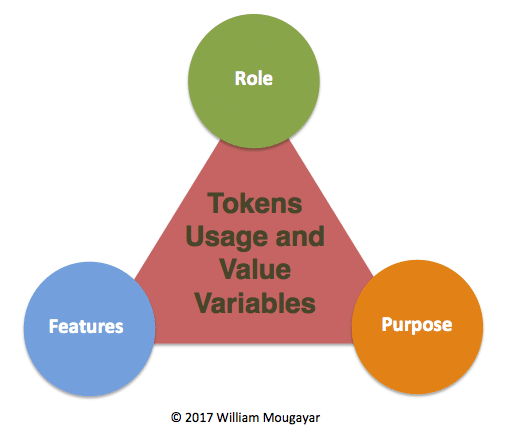 It can be a little complicated to pinpoint on an exact definition of a “token”. To give you a very wide, non-generalized definition, a token is a representation of something in its particular ecosystem. It could value, stake, voting right, or anything. A token is not limited to one particular role; it can fulfill a lot of roles in its native ecosystem. Before we go any further, however, we must make one more difference clear. The difference between a cryptocurrency coin and a token. A cryptocurrency coin, like Bitcoin, Bitcoin Cash, Ethereum etc. can be is independent of a platform. They can be used as a form of currency outside their native environment. Basically, these are the “cryptocurrencies” that we are all familiar with. However, on the other hand, OmiseGO, Golem etc. are examples of tokens which exist on a particular platform, in this case, Ethereum. They have provided the simplest path by which DAPP developers can get the required funding for their project. Anyone can become invested in a project they are interested in by purchasing the tokens of that particular DAPP and become a part of the project themselves. (We are talking about Work Tokens here). So, how does an ICO work? Firstly, the developer issues a limited amount of tokens. By keeping a limited amount of tokens they are ensuring that the tokens itself have a value and the ICO has a goal to aim for. The tokens can either have a static pre-determined price or it may increase or decrease depending on how the crowd sale is going. The transaction is a pretty simple one. If someone wants to buy the tokens they send a particular amount of ether to the crowd-sale address. When the contract acknowledges that this transaction is done, they receive their corresponding amount of tokens. Since everything on Ethereum is decentralized, an ICO is considered a success if it is properly well-distributed and a majority of its chunk is not owned by one entity. The recently concluded EOS ICO which raised a whopping 4 billion dollars in a year is till date the biggest ICO ever. 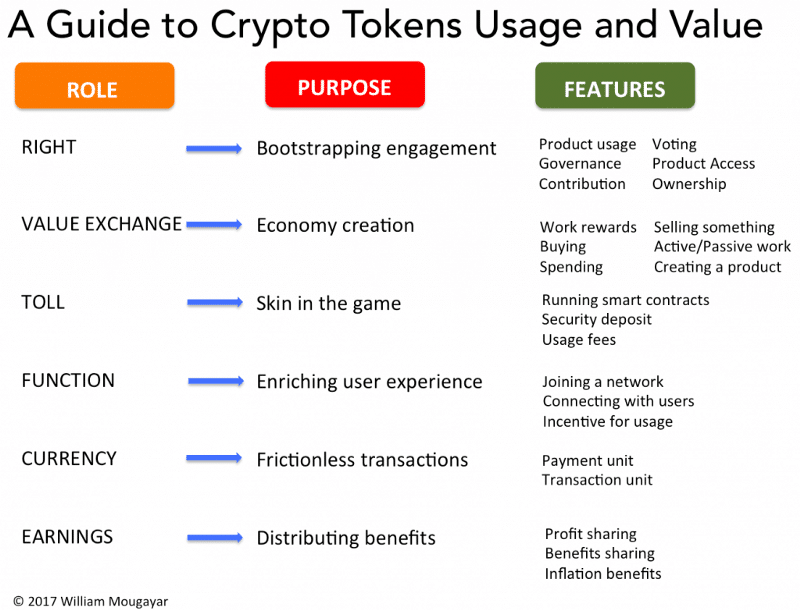 So, before we continue and classify our tokens, let’s look at what functions a token can serve in order to gain value. The tokens create an internal economic system within the confines of the project itself. The tokens can help the buyers and sellers trade value within the ecosystem. This helps people gain rewards upon completion of particular tasks. This creation and maintenance of individual, internal economies are one of the most important tasks of Tokens. Helps in the equitable distribution of profits or other related financial benefits among investors in a particular project. So, how does this all help in token valuation? Alright, so now we know what a token is, how a company distributes token and where a token can gain value from. Before we go any further, it is important to know what the Howey test is. In 1946, the Supreme Court handled a monumental case. The case was SEC vs Howey which would lay down the foundation for the, now infamous Howey Test. The case was about establishing a test of whether a particular arrangement involves an investment contract or not. To keep a long story short, two Florida-based corporate defendants offered real estate contracts for tracts of land with citrus groves. The defendants offered buyers the option of leasing any purchased land back to the defendants, who would then tend to the land, and harvest, pool, and market the citrus. As most of the buyers were not farmers and did not have the agricultural expertise, they were happy to lease the land back to the defendants. However, this was deemed illegal by the U.S. Securities and Exchange Commission (SEC) and the defendants were promptly sued. According to the SEC, the defendants broke the law by not filing a securities registration statement. Upon investigating the defendant’s leaseback and finding that it was indeed a security, the Supreme Court made a true landmark decision. They developed a test which will be used to determine whether a certain transaction is an investment contract or not. If it is, then it will be subject to securities registration requirement. There is an expectation of profit from the work of the promoters or the third party. The term “common enterprise” is open to interpretation. However, many federal courts have defined a common enterprise as a horizontal enterprise where the investors pool in their money and assets to invest in a project. Even though the original Howey Tests used the term “money”, later cases expanded that to include other investments and assets other than money. Plus, there is another important thing to consider while determining securities. The profits that come from the investment, is it in the investor’s control or is it completely out of it? If it is not in the investor’s control, then the asset has usually declared a security. So, how is this relevant for ICO and tokens? If the token meets all the three aforementioned criteria, then it is regarded as a security. All these three elements have to be met for a coin to classify as security. Turns out that the Howey Test is not the only test that courts can use to find out whether a given investment is a security or not. In 1990, the Supreme Court developed a family resemblance test which provided a way for contract creators to show that their contract has a “family resemblance” to other investments and hence cannot be called securities. Certain states have their own securities registration requirements which are sometimes called “Blue Sky” laws. The Howey Test and securities have become a source of intense debate in the crypto-community after the DAO tokens failed to pass the Howey Test and were deemed securities by the SEC. “Not so long ago, a group of developers started a DAO. Tell you what. We’re going to write code and sell a token and, in exchange, people who buy the token will get whatever profits are made from those projects. We’ll work the code. They’ll pick the projects. The projects will flourish and everyone will profit. So, why was this investigation and ruling done in the first place? The hacker exploited that flaw to execute a re-entrancy attack. Over $!50 million worth of ether was siphoned away. Because a lot of people invested and got back nothing in return, the SEC intervened to “protect” the interest of the investors and deemed the tokens a security. Ok, so till now we know what tokens are and what the Howey Testis. So, now let’s get into the two major classifications of tokens. Because most of the ICOs are investment opportunities in the company itself, most tokens qualify as securities. However, if the token doesn’t qualify according to the Howey test, then it classifies as utility tokens. These tokens simply provide users with a product and/or service. Think of them like gateway tokens. Since there is an upper cap on the maximum token availability, the value of the tokens may go up because of the supply-demand equation. Finally, we come to security tokens. A crypto token that passes the Howey Test is deemed a security token. These usually derive their value from an external, tradable asset. Because the tokens are deemed a security, they are subject to federal securities and regulations. If the ICO doesn’t follow the regulations, then they could be subject to penalties. However, if all the regulations are properly met, then these tokens have immensely powerful use-cases. It requires a verification that the investors are indeed accredited and the information which has been providing during the solicitation is “free from false or misleading statements. Since the assets which are represented by the security tokens already exist in the “real world”, they act like a bridge between legacy finance and the blockchain world. So what are the exact changes that security tokens are bringing along with them? As of right now, the ICO space is a little dicey, to say the least. There is a real deficit of accountability in the space because of a lack of regulation for utility tokens. In order for the ICO space to regain some credibility, it should make sense to somehow amalgamate the crypto space and the legacy finance space together. Traditional financial transactions can be a little expensive because of all the fees associated with the middlemen like bankers. Security tokens remove the need for middlemen which reduces fees. In the future, smart contracts may reduce the complexity, costs, and paper works. Traditional finance institutions have a lot of middlemen involved which simply increases the execution time. By removing these middlemen, securities allow for faster execution time for successful issuance of security tokens. Because of this increased speed, the security tokens are bound to become attractive investments. Investment transactions today are extremely localized. Chinese investors find it extremely hard to invest in private US companies and vice-versa. So, how are security tokens going to help here? Well, by using security tokens, creators can market their deals to anyone on the internet. This exposure to free market helps in increasing asset valuation. Also, this increased exposure leads to…. Since creators can now present their deals to anyone on the internet, the investor base increases exponentially. This is another huge incentive for creators. In the future, there security token projects will use smart contracts which will automate service provider functions through software. These functions are currently provided by players such as lawyers which add on to the potential middlemen involved in the project. Because the number of middlemen decreases the drastically, the chances of corruption and manipulation by financial institutions decrease drastically and may even be removed from the investment process. Secondary trading on security tokens will be made simple through licensed security token trading platforms and it will be extremely easy for investors to liquidate security tokens. Having said that, not everything is sunshine and rainbows, there are some disadvantages of security tokens. The removal of the middlemen is usually seen as a huge advantage. However, you can’t have your cake and eat it as well. There are some disadvantages which will invariably come along with security tokens. Removal of middlemen leads to the shifting of responsibilities onto the buyer or the seller in the transaction. These middlemen i.e. financial institutions serve a lot of important functions in the ecosystem such deal underwriting, preparation of marketing materials, solicitation of investor interest, insurance of high levels of security, and compliance regulation. Many critics feel that the creators won’t be able to successfully execute these functions without traditional financial institutions. We need to wait and watch if these fears have any basis or not. The crypto community breath a sigh of relief when SEC has ruled Bitcoin and Ethereum to not be securities. As of right now, security tokens has a far less share of the market as compared to utility tokens, however, security tokens are something which can become huge in 2018 and needs to be embraced by everyone soon. It is believed that tons of capital is going to flow from Wall Street to security tokens instead of utility tokens. This shift is happening because security tokens are considered to be safer because of the strict regulations. Great read. thanks for this!